Do you change purses with every outfit? Or do you have one purse you carry all the time? Do you spend a lot of money on really nice, designer purses and keep them for years? 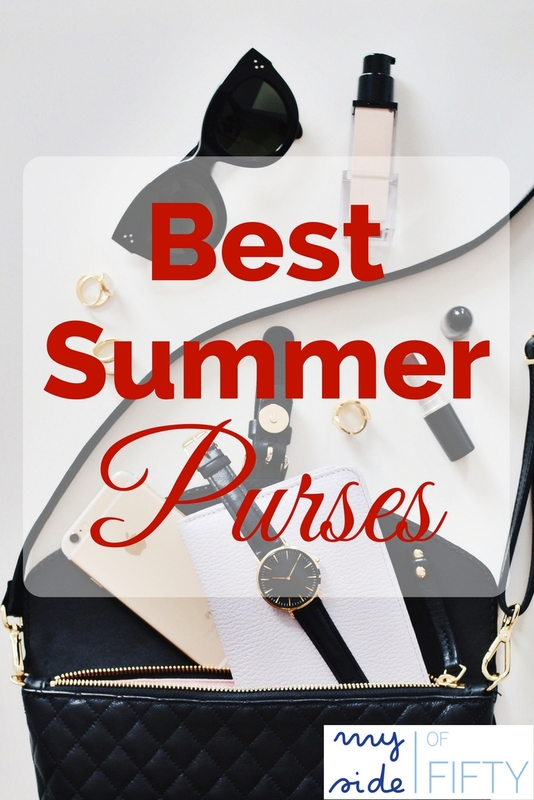 Or do you opt for the more inexpensive purses and buy a new one every season? Is your purse the “family purse”? The kind that is huge so that you carry all your stuff, drinks & snacks for the kids and your husband’s keys and sunglasses? Or do you like a smaller purse with just your essentials? Whatever your purse personality, there are loads of options these days. And I found a number of them on Amazon. I’ve never really thought of buying something like a purse on Amazon before. But as I perused their selection, I was amazed at the number of choices there were! So many styles, price points, and colors. Much more than you would get in a brick and mortar store. And if you are an Amazon Prime member, you get free 2-day shipping! Whether you’re a Prime member or not, here are some really cute purses in lots of different styles. Pick up one or two to jazz up any outfit! Do you have a clutch? I usually take a clutch to an evening or more formal occasion like a summer wedding. But you don’t have to limit them to dressy occasions! A clutch is good ANYTIME when you just want to carry your essentials and not lug a big bag around. Cross Body bags are perfect for running errands or shopping. Your hands are free and since you have the bag strapped across your body it is a bit more secure. The Cross Body bag is one that I am looking to add to my wardrobe. Need to carry more than just the essentials? These purses are the “workhorses”. You can have different ones for different outfits. Or you can have one that goes with everything that is ready to pick up and go as you head out the door. Backpacks are another great option is you want a purse that you can carry hands-free. Most have multiple compartments for keeping you stuff organized. There are totes for every occasion. Dressier ones that hold your laptop, iPad, bottle of water and lunch. Or the kind that holds your swimsuit, towel, and sunscreen for the beach. Totes are so cute! Which type of purse is your favorite? Which one do you want to add to your wardrobe? Tell me in the comments. My answers are no no and yes. No, I do not change purses with every outfit, i have one purse I carry all the time. NO. I do not spend a lot of money on really nice, designer purses I get the cheaper ones and use them to death. Ans oh YES…I have the “family purse”!! It holds EVERYTHING! LOL. You’ve shared some nice affordable alternatives though. Darlene – my kids are grown & gone & I STILL carry the family purse!!!! Need to make some changes! I never used to change my purse, but I certainly do now that I’m blogging about fashion!! Of course, I still have an everyday purse that gets most of the daily wear, but I have found it’s fun to throw in a fun purse now and then!! You fashion bloggers are inspiring me to add more purses to my wardrobe. I carry the same neutral colored one every day. I definitely have the family purse! I also like a tote for that reason. I don’t want to spend a ton because I like changing them around – I don’t change with every outfit, but I definitely don’t carry the same one all the time. I used to always carry a neutral but these days I like color! I’m stuck in the neutral family purse. I want to change it up and add some color & I really want a cross body bag. I’m a tote bag kind of lady. Since I don’t like to leave home, why not bring home with me, right? 😉 Never thought of buying purses from Amazon. Great idea! First time here, visiting from Blogger’s Pit Stop. Nice to meet you, Cathy! 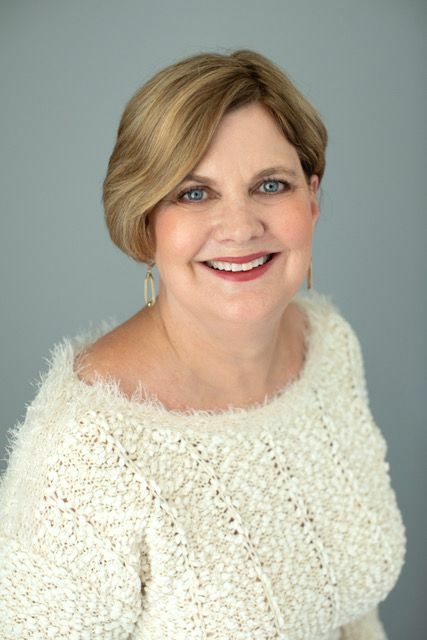 Kelly – thanks for stopping buy. I had never considered Amazon for purses either, but I think I’ll start looking there first. Love their selection! I like a summer purse in a lighter summer material – straw, fabric, or “fun pattern”, a winter bag in a combo brown/black leather and a cross body bag for travel that holds cash, cards and cell phone – the essentials. My cross body bag fits in my travel tote when airlines limit me to “two bags onboard”. A cross-body that fits into a larger bag is the perfect travel solution! I am kind of addicted to my bags. i have a number of different purses and even more totes. I switch them out, but tend to use the same few regularly throughout the season. i never travel without a cross body bag. I tend to buy quality bags and keep them for years! A cross body bag is #1 on my list! I’m a combination. I switch out my purse depending on what I’m doing or where I’m going. A cross body is my summer go to, but I often combine that with a tote when out with grand littles. After purchasing my first D&B bag more than 12 years ago (it still looks new) I think of it as a fashion investment. I usually buy a combination of higher end bags that will last, as my main bags, and less expensive ones that I use as the “family bag”. Sounds like a good strategy! I’m so hard on purses, I’ve never invested in a high end purse. May give that a try! Cathy, I don’t like to change purses with every outfit. Most often, I use a mid-size leather crossbody purse, but for certain events switch over to either a very small crossbody, a clutch or a tote. They are all black leather. I buy quality bags and keep them forever. I should start investing in some nice bags that last forever. I usually buy a new one every season! These purses are so attractive! Thanks for the suggestions. I tend to carry the same purse for months and months before changing things up. But, it would be more interesting to change purses with outfits. Thank you for linking up at The Blogger’s Pit Stop. I’m sharing your link on social media. I usually have a fall winter purse and a spring summer purse and carry those all the time! I want to switch it up a little! 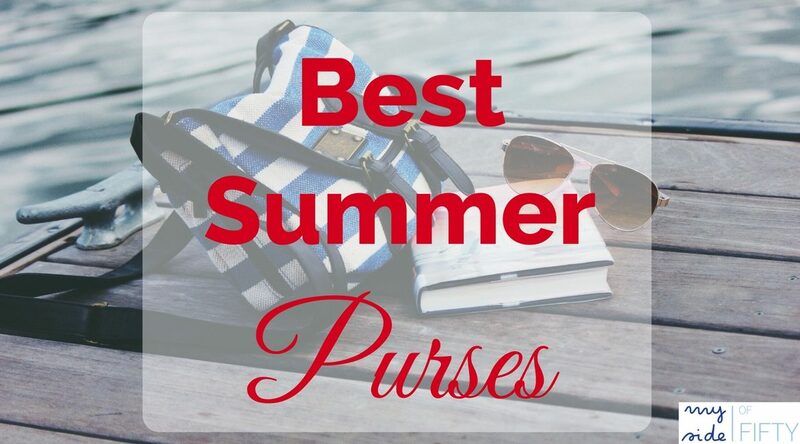 You had me at purses! I am in love now with the crossbody. I have lightened up my contents for the weight. My fav brand dejour is Baggallinni . Lightweight, cross body, washable and light color inside and lots of pockets. After many years of carrying the “family purse”, I’m trying to down size to a smaller pure. The crossbody is great!